WILLOW — Sixty-seven mushers and dog teams began the journey to Nome from Willow Lake Sunday afternoon as the 1,000-mile Iditarod Trail Sled Dog Race got underway for real under bright-blue skies. The race restarted in Willow at 2 p.m. after Saturday's 11-mile ceremonial start in Anchorage. Mushers blasted out from the starting line at two-minute intervals. The quiet of the trail ahead comes as a relief for a race beset this year by accusations of doping, big-name sponsors pulling out, internal conflict and animal rights groups protesting dog deaths. At Sunday's restart, thousands of fans spread across the normally quiet Willow Lake, temporarily boosting the population of this community of about 2,000 people along the Parks Highway. More race watchers, most clustered around snowmachines, stretched for miles from the lake in the annual "trailgate" party that accompanies the race restart. But for some mushers, just getting to the restart was a challenge. The Glenn Highway, coated with fresh snow Saturday, turned to ice north of Eagle River as trucks loaded with sleds, gear and at least 16 dogs maneuvered out of the city Saturday afternoon. By mid-afternoon, the highway was shut down amid reports of 50 vehicles in the ditch and what seemed like too many wrecks to track. One snared Kristy Berington, husband Andy Pohl and 24 sled dogs in a truck and trailer behind them. Pohl is running the Iditarod for the first time this year. Berington, a race veteran, came up over a hill to see two people in a ditch and three cars blocking the roadway. "I tried to stop and hit the car in front of me, probably at 25 or 30 mph," Berington said Sunday morning. "Fortunately, nobody hit the dog trailer in the back of us." An Anchorage police officer told her there were 15 accidents at the same time, just after 2 p.m.
Nobody was hurt, not the people or the dogs. But the dog truck was totaled. And there were 24 dogs without a way back to the couple's Knik kennel. People started helping right away, Berington said. Race veterinarian Tabitha Jones, a few cars behind, skittered on foot across the icy highway to check the dogs. A van from Alaska Missions happened to be nearby, too. They loaded the dogs in the truck into the van and hooked up the trailer carrying the rest. 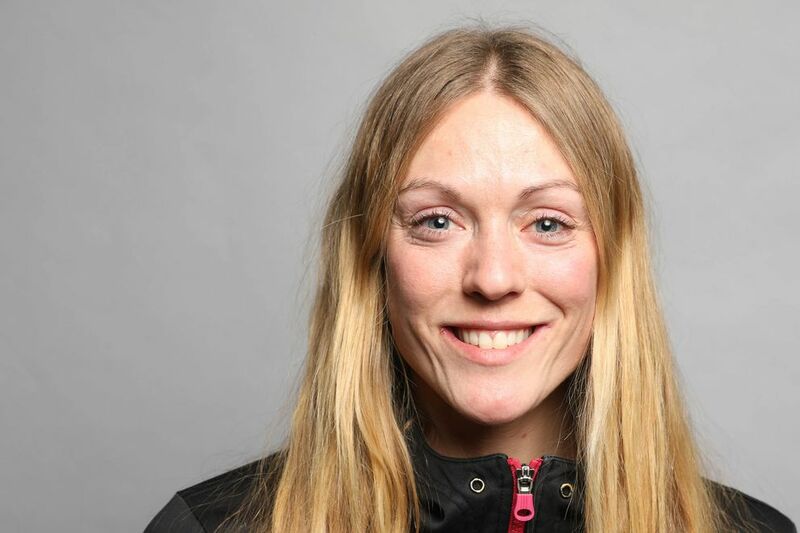 Yukon Quest veteran Christine Roalofs helped haul everybody to Sunday's start. Berington said she and Pohl got "not even a few hours" of sleep Saturday between the lost driving time and the time it took to switch everything to Roalof's truck. "Friends and family made everything possible," she said. "I don't want to drive anything except for a dog sled for the next month." 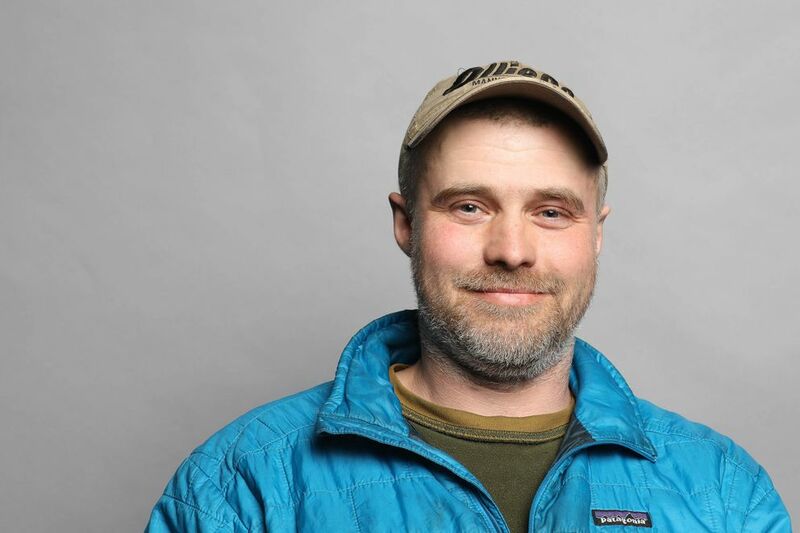 Willow musher Lev Shvarts, running his third Iditarod, intentionally jack-knifed his truck and dog trailer to avoid a wreck on the same stretch of highway. "I basically tapped the brakes, locked 'em up and turned the wheel to the right," Shvarts said at the restart Sunday as he tinkered with his sled, his team of 2-year-old dogs looking none the worse for their highway adventure. His truck was another matter. 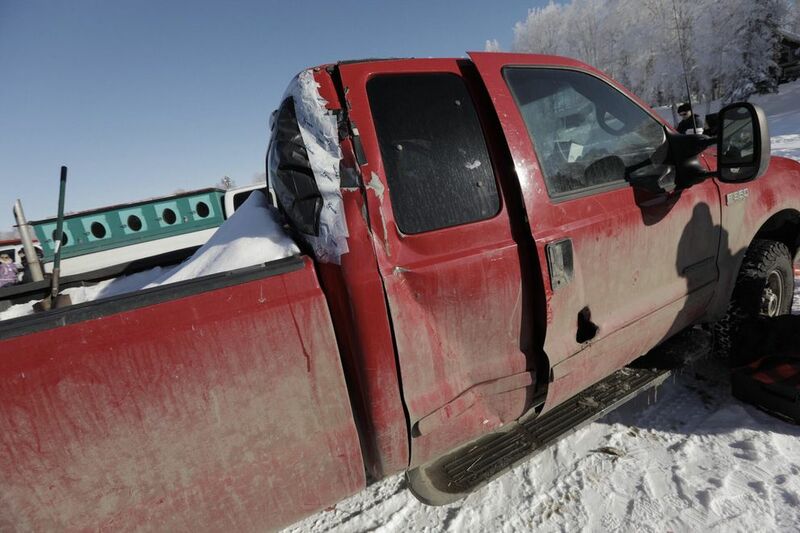 The metal corner of the trailer punched a softball-sized hole in the passenger door of his red Ford F-350. Shvarts and other mushers said they were ready to get on what's expected to be a snowy trail and away from the hubbub and politics. "It's a relief," said Martin Buser, a four-time Iditarod champion who's taken to running slower races in recent years. Buser sat on his sled to chat, a table of food and grilled treats nearby as he got ready for his 35th race. "I turn my phone off and know I'm not going to turn it on for a week," he said. "It's kind of nice." 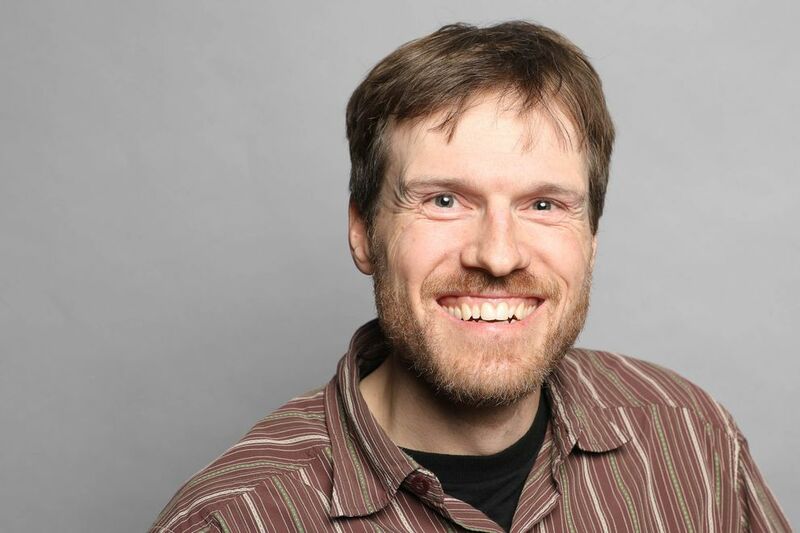 Wasilla's Alan Eischens, running his fourth Iditarod, said he was glad to finally get to try the southern route after low-snow conditions forced organizers to move the race to Fairbanks. Asked if this year's race feels any different because of the controversies surrounding it, Eischens said no. "People are going to say something no matter what you do," he said. Four or five animal-rights protesters held up signs as the race started Sunday afternoon. But otherwise, the scene on the lake was classic restart: hoards of people lining the race chute, a few tents pitched on the ice, hardy partiers grilling bratwursts loaded onto tables hauled onto the lake. Laurie Beavers traveled to Willow from her home in Illinois, her fifth trip to Alaska just to see the Iditarod. Last year, she and her daughter saw the finish in Nome. Beavers said she loves dogs and the wildness of a thousand-mile race through Alaska. She craned her neck to see as 2017 winner Mitch Seavey got ready to start and reeled off a couple quick facts about Seavey to a friend. "I feel like those boys who know all the baseball stats," she said. Teams are expected to start arriving at checkpoints at Skwentna overnight and Rainy Pass on Puntilla Lake by Monday morning.